I messed up my Time Machine backup in some way. I'm no longer able to mount the sparsebundle file as I get an error stating that there are no mountable filesystems. ** The volume Time Machine Backups was found corrupt and needs to be repaired. As you can see there is also an error saying "Unable to open block device /dev/disk2s2: Permission deniedjournal_replay(/dev/disk2s2) returned 13". I thought this might be due to not running the fsck_hfs command as a su, so I tried it with sudo but this had the same result. Anyone an idea how to take this further? The volume Time Machine Backups was found corrupt and needs to be repaired. Can I simply chmod the sparsebundle file to set the right permissions? Where x is the disk id for the external disk. x might be 2, 3, 4 or higher. You are interested in the one labeled Apple_HFSX or Apple_HFS. fsck_hfs -drfy /dev/diskxs2 using whatever relevant device was located in Step 1. However, since OS X 10.6.3, Time Machine will refuse to write to a destination volume that fails its verification. Even if the process above succeeds in recovering the backup, you may still need to remove the black marks that Time Machine wrote when it failed verification. At the top level directory of the sparsebundle, edit the file com.apple.TimeMachine.MachineID.plist. But be careful, the sparsebundle may have been protected because it genuinely is broken. It's not that simple as chmod. First, it appears that 10.5 / 10.6 / 10.7 all have minor differences in how a sparse bundle is handled. Second, the flags and dirty/bad status of a sparse bundle are stored elsewhere. Third, you may need to attack the sparse bundle itself - not the filesystem that is contained within. Your best bet is to let Disk Utility take a crack at repairing the image before you look at the filesystem embedded within. It works on both the bundle and the filesystems - as well as knows how Apple has stored things. The details of the bundle are either proprietary or hard to discern from the developer docs - and it's certainly not something other third party utilities are keen to fix at this point. 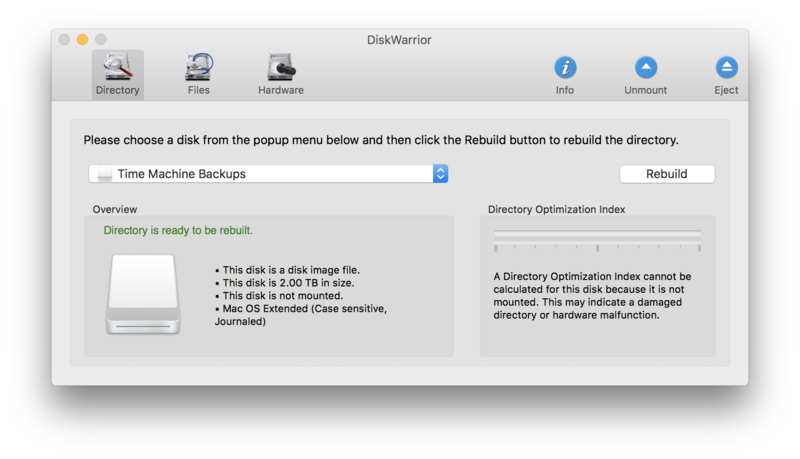 As long as you are using an equal or newer version of Disk Utility than the mac that made the backups, you should be fine. Once you've given up on Disk Utility - you might try something like Drive Genius or Disk Warrior - but I'd stick with Apple's tool if you hope to reuse this bundle. The nature of sparse bundles - specifically the hard links as well as the concept that it's not compacted when files are deleted, there is a lot of work to be done. I have had DiskUtility run for two weeks and still not complete a repair pass on a 800MB sized archive. Best of luck - this may not be recoverable from the details you provided. I have a Syology NAS and was getting the NO-WRITE error when trying to run the fix but i came across this tweaked version that saved my bacon. If you back up a sparse bundle disk image on one machine and try to open it on another you may get the "no mountable filesystems" error message, especially if the owners' usernames differ between the two machines. After that it opened fine and all was right with the world. I did all the steps above but after a while the image could not be repaired using fsck_hfs or hdutil, lots of errors related to threads or nodes corrupted. (Optional) Connect a HFS Jornaled formated external USB 1TB drive. (Optional) In Airport Utility, go to Time Capsule Disks -> Archive Disk into the Drive connected to Time Capsule by USB. This took me 12 hours for 600 GB. Then the disk was visible using DiskWarrior. On Directory tab, click Rebuild. It took about 1 hour. Once fixed I could finally mount and backup my files. @Garth's answer didn't work for me. I had to add the -readwrite option to hdiutil in order to make it work for my encrypted image. Without that option, hdiutil doesn't ask for the password. At the fsck step, I encountered a Disk full error. To fix that, I used the resize option to enlarge the image size prior to running fsck. As explained in the other answers, the device path may vary, so instead of disk2s2 you have to use the disk that is printed by the hdiutil attach command. Also, you only need the resize step if you did get the Disk full error when executing the fsck_hfs command. Also, instead of my 1.5t you should enter a reasonable new size that is just slightly larger than your current image size (check with du -hs MyImage.sparsebundle). Right-click on the disk image, change "Everyone" to read and write. It was apparently a permissions issue. I got locked out of my legacy file vault account after an El Capitan security update with a 'no mountable filesystem' error. What worked out in my case was opening the sparsebundle file using 'show package contents' from the drop down menu and manually changing access for 'everyone' from 'no access' to 'read&write' for each of the enclosed items. For the 'bands' directory I used the 'apply to enclosed items' command from the drop down menu. when trying to fix a currupted TM-sparsebundle on a QNAP 419II. /dev/rdisk1s2:    Executing fsck_hfs (version diskdev_cmds-540.1~34). Not the answer you're looking for? Browse other questions tagged time-machine sparsebundle .